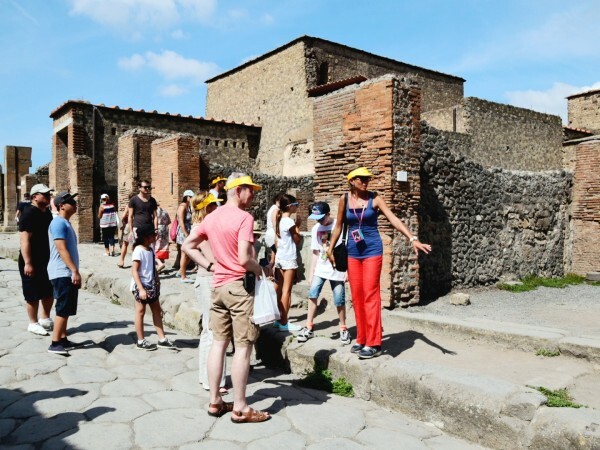 Stroll along the streets of the Ancient city of Pompeii like you had a time machine and you’ll experience the real life of the Roman Empire. 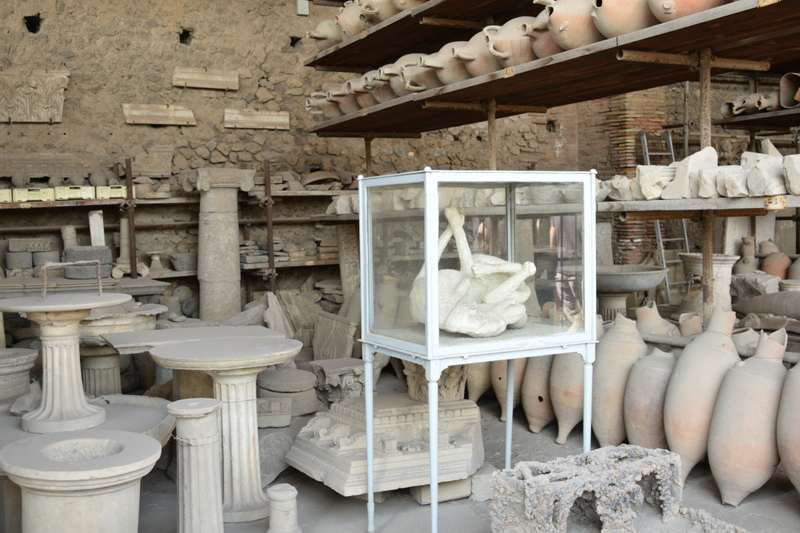 Enjoy a walking tour with a professional licensed archeological tour guide. 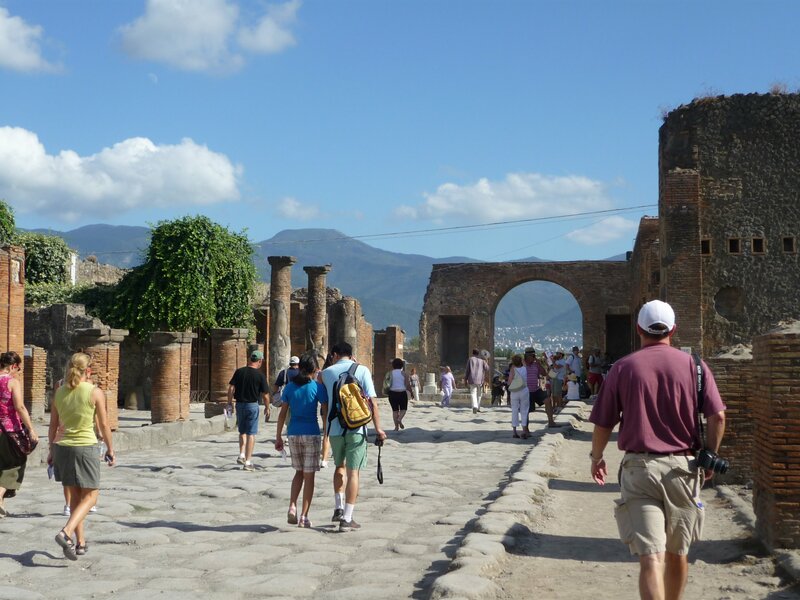 The best way to visit Pompeii is to be accompanied by an archaeological guide through its streets and squares that have made it famous all over the world. 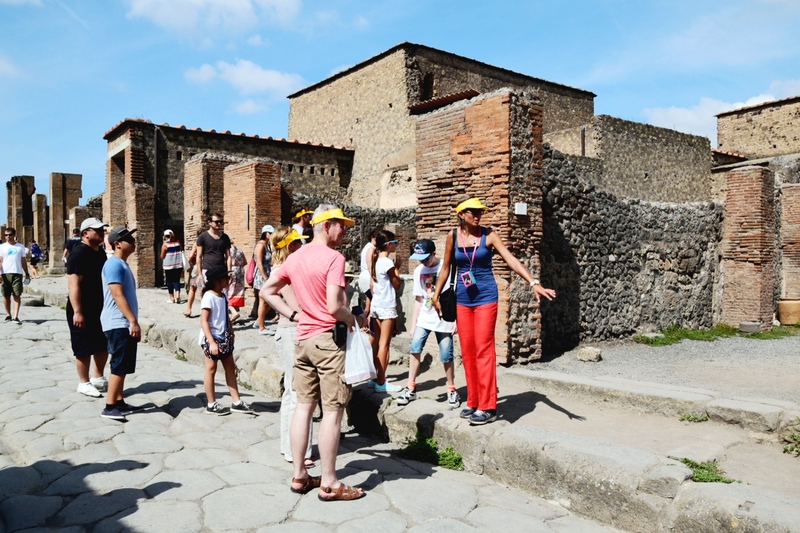 Pompeii is the most visited archaeological site in the world and covers an area of 7 hectares. Was buried under 12 meters of ashes and discovered in 1748. 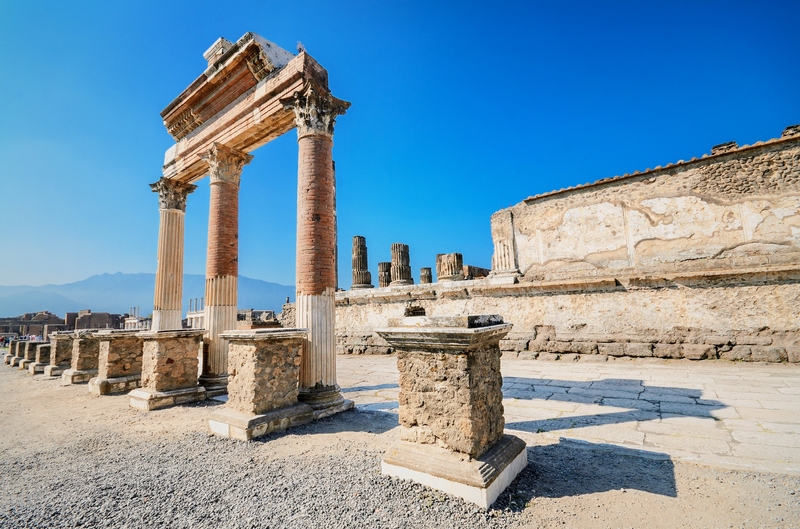 The town shows us the splendor of the period with its temples, its villas filled with frescoes and its thermal baths rich in marble and mosaics. 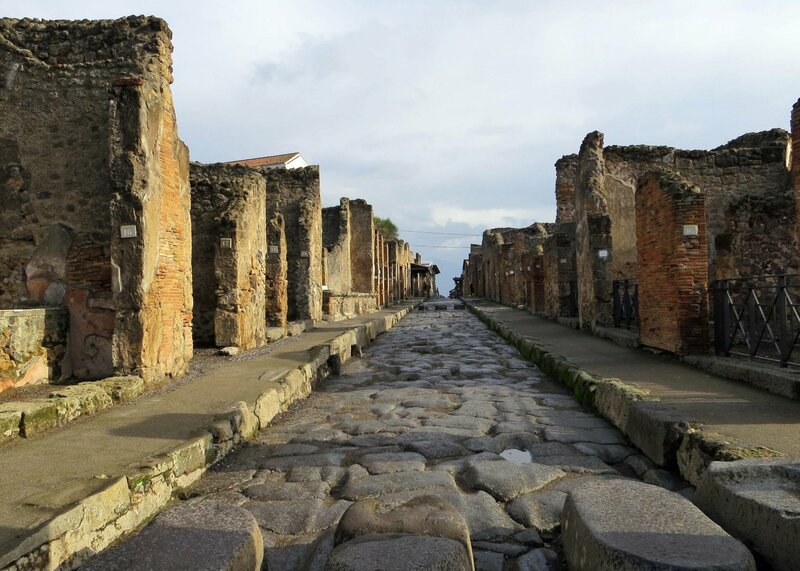 Explore the buildings of the Forum, the Macellum market and the Red Light District. 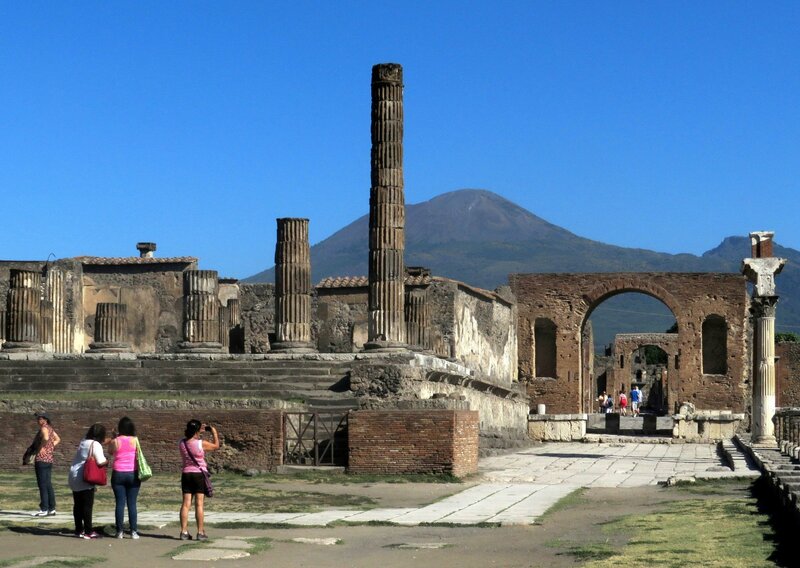 You will also see human casts of the Pompeii habitants caught by the volcano in the exact pose that they died. 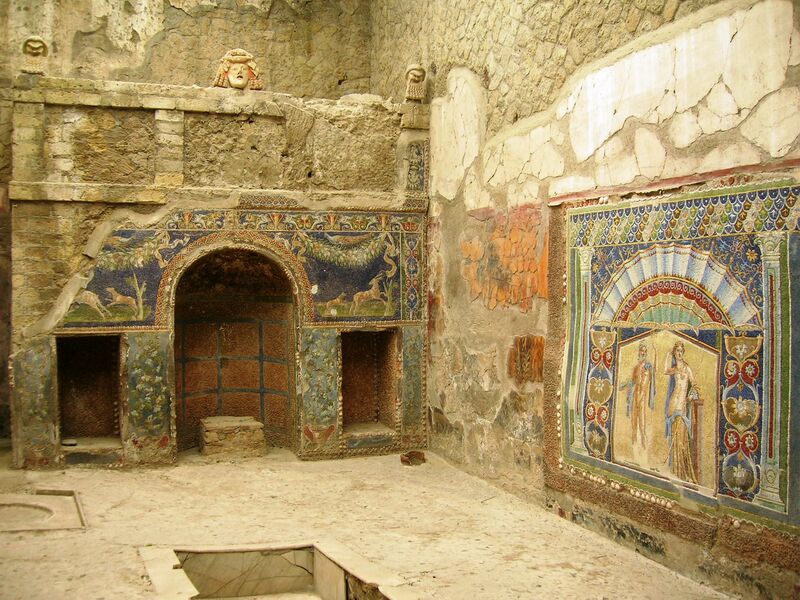 To attend the tour you can take the Circumvesuviana train from Naples ( at 08:41 AM ) or from Sorrento ( at 09:07 AM ) and the guide will be waiting holding a sign outside the station. You will skip the line by the ticket office and the guide will collect the money for the tickets, up to 17 years the entry is free, to help with the purchase.